The European Southern Observatory is planning a major announcement next week to "present a groundbreaking result from the EHT (Event Horizon Telescope)," according to a media advisory released today. 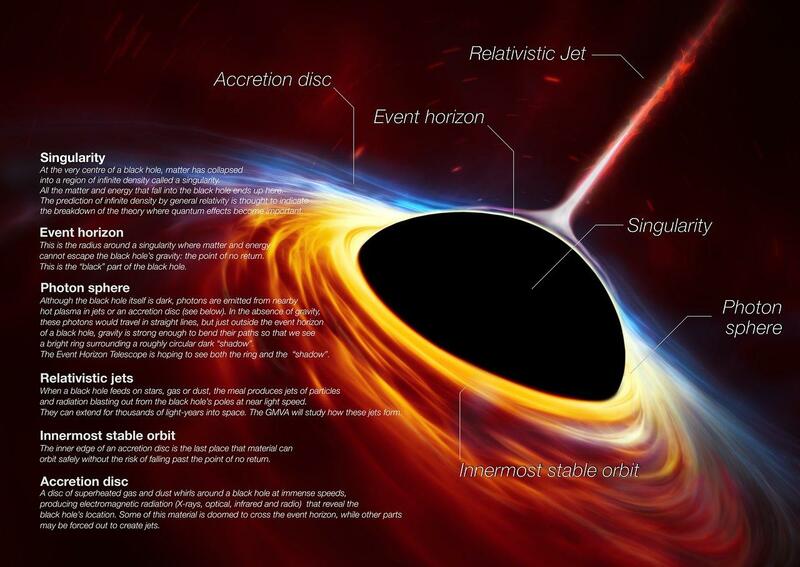 The announcement has many in the scientific community anticipating the release of an image or images of a black hole's event horizon: the only part – if you want to think of it that way – of a black hole that may be theoretically detectable. The EHT – which is actually an array of linked radio telescopes located around the world – has been aimed at Sagittarius A*, a supermassive black hole housed in the Milky Way galaxy, and M87, housed in the Virgo A galaxy, since 2017. Representatives from the EHY project hosted a Q&A panel at the 2019 SXSW festival in Austin, Texas last month. • Black holes can be seen even though light cannot escape them. Surrounding matter illuminates the hole's "shadow", revealing the shape of spacetime. • The EHT is a global experiment linking telescopes across Earth and resulting in the first-ever "photographs" of our own Galaxy's central black hole. • The act of seeing an object for the first time-like the actual event horizon of a black hole-plays a key role in the development of science. The event will be live-streamed on YouTube on April 10, 2019, beginning at 0900 Eastern Time. If you're anxious, you may want to set a reminder below.